Elasticsearch has a powerful profiler API which can be used to inspect and analyze your search queries. The response, however, is a very large JSON blob which is difficult to analyze by hand. 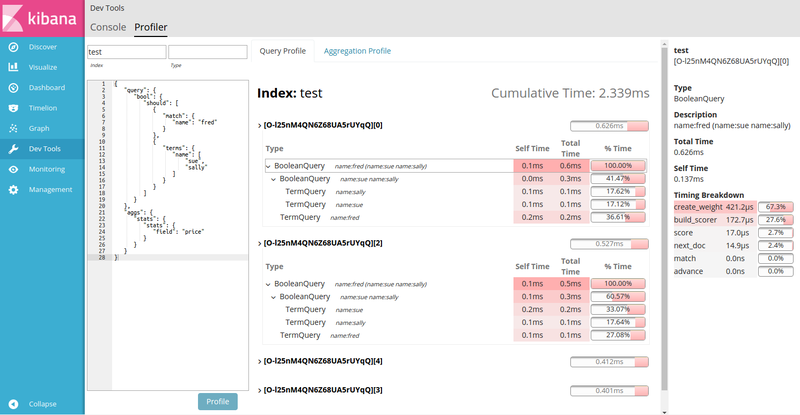 X-Pack includes the Search Profiler tool which can transform this JSON output into a visualization that is easy to navigate, allowing you to diagnose and debug poorly performing queries much faster.